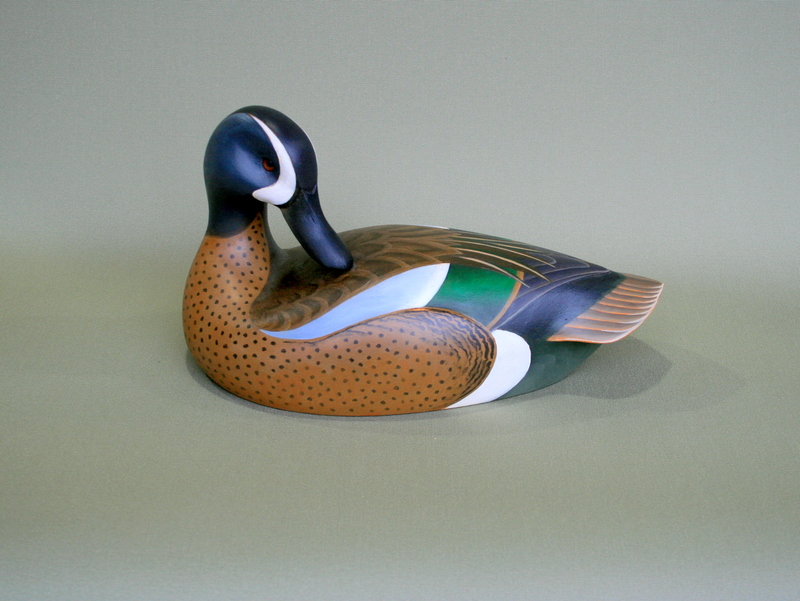 I am always excited to see a Blue-wing Teal. I never saw one growing up on Long Island; I saw my first one – a full plumage drake – at Montezuma NWR when I was in college. We also saw flocks of them when we would hunt Open & Lower Lakes WMA in St. Lawrence County. For many of our earlier years there, a 2-bird Teal Bonus was in effect and so we brought a few home with us on many hunts. 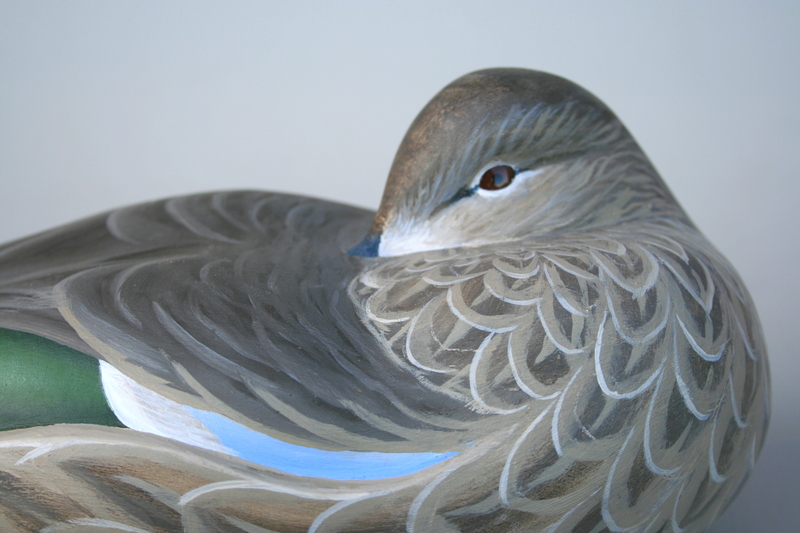 Whether in fall or spring, the flashing powder blue wing coverts always bring a smile to my face. 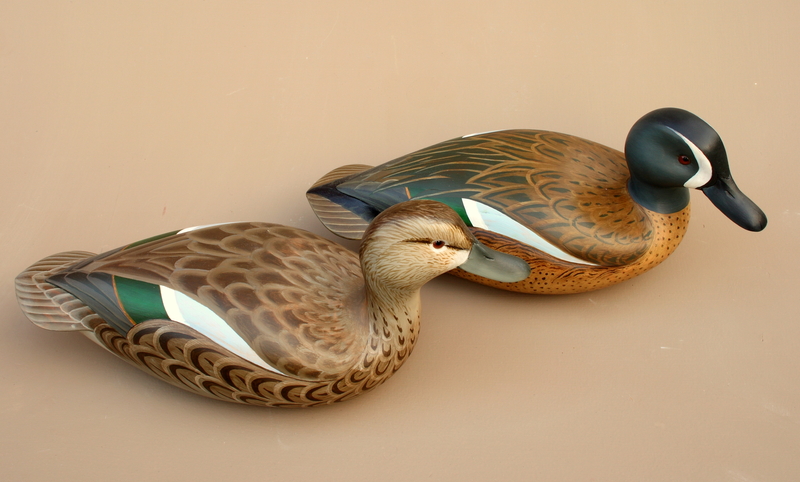 Here is a pair that may have been the first decoys I painted with oils. As is typical of my style, I tried to mix pure, hard-edged geometric or organic shapes with softer, more naturalistic portions of the plumage. I did this preening Drake as part of a tradition: my gunning partners get a mantelpiece bird from me on their 50th birthdays. Although I did not actually drop the wing, I did expose a lot of the speculum and coverts – just for the flash. 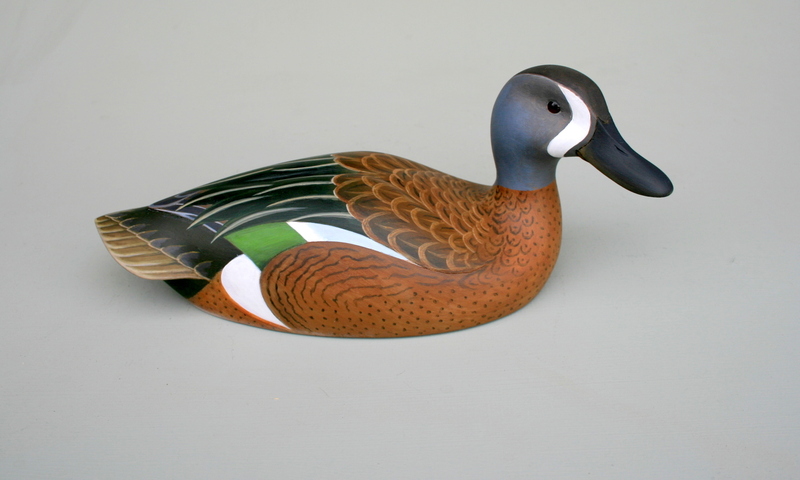 On this Drake, I had fun tying the curves of the coverts and speculum into the flank patch. Also, although it cannot be seen from this perspective, I painted “horns” on the bottom of the facial crescents – inspired by the helmets of the Minnesota Vikings. This Hen has two of things I enjoy immensely. 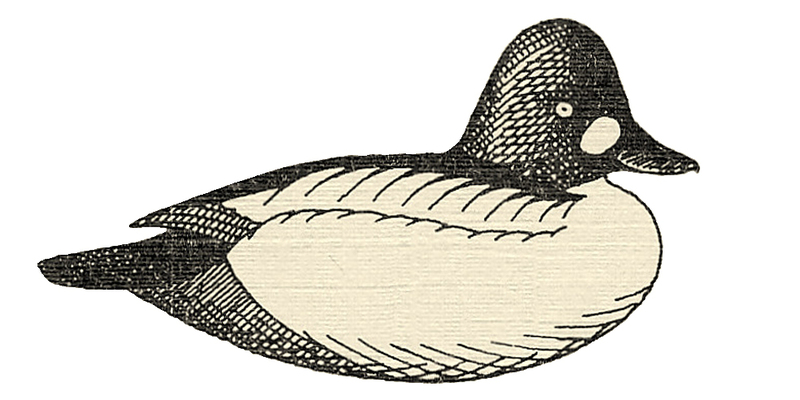 First is the pattern of the feathers. Although muted in color, the regular, predictable array is fun to follow with the eye. 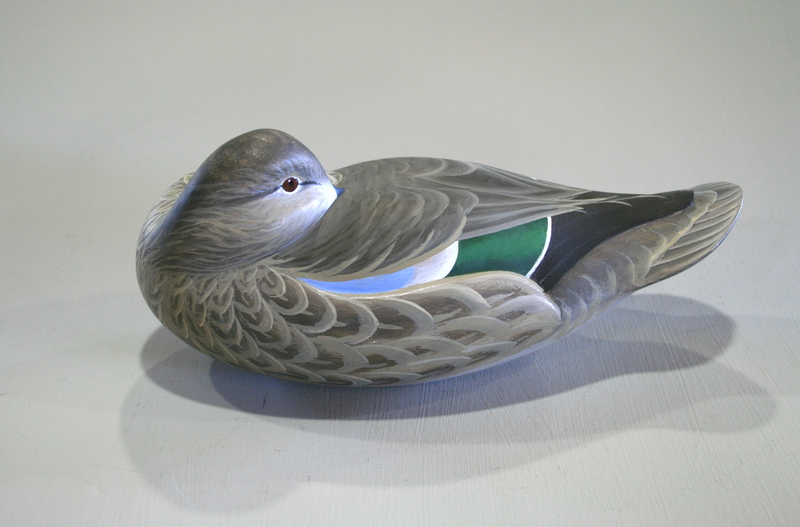 The other thing is the form of any sleeping duck – to my eye,one of the most appealing and elegant shapes in nature. And, finally, I also enjoy exaggerating the markings on the folded wing – the iridescent green speculum and the powder blue coverts.